Had a few meetings in Nairobi and caught up with old friends. We did Nairobi-Kisumu in 5 1/2 hours. The road is great now with one small section near Kericho that is still under construction. Ben, our driver, was upset because his station wagon, which he meant to use (so much luggage) went for a fill up & they put in diesel instead of petrol. So the whole engine has to be dismantled & flushed out. We used his sedan which actually was fine with just the two of us. The vehicle was waiting for us and is great. Air conditioning, working seat belts and very comfortable. We were in Kakamega by 3.30. Lots of people calling us and stopping us on the street. Had supper at the Sports Club with Richard & Bibiana and a quick tour around Nakumatt (supermarket) to set up groceries. We have water, the power is on, the fridge is working! The apartment is fine (dusty of course) We were so busy before we left, that I didn’t really leave everything as tidy as I would like. Going to do some ruthless chucking out of old stuff and try to reorganise a bit. Bibiana, who is a town councillor & volunteer children's officer, is a member of our Advisory Committee. She has some great things going with some women’s groups, so I’ll let Alex (our trainer) & Tanya (who will be here as an agent later) know there is something ready for them to work with. The small apartment on the compound is finished. I’ll take a look today or tomorrow and take some pictures. They just need to tile the floors, so we can start thinking about furniture, curtains etc. The next 2-3 days I want to keep clear for unpacking & organising. Then we will start planning with Richard etc. We are hoping to welcome supporters on a tour in February 2012 to meet the communities in which we work and to see the projects. To find out more, click the ‘join us’ tab on the web site. Purchase of books for Read for the Top in Isecheno Primary School Interviews for job training with Advisory Committee Planning and communication for Teacher Seminars December: Mark collection and renewal of student contracts. We hope to welcome back Mary and Jim Higbee and Sue Dauer who did such a wonderful job of teacher seminars in January 2011. Please note that you can now donate directly from our web site by using Paypal or Canada Helps buttons on the ‘Donations’ page. 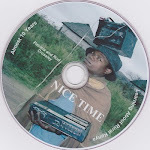 You can also contribute to funds by purchasing ‘Nice Time’ an e-book of letters and pictures from 2001 for $9 through the web site. Kenyan MPs have raided money set aside for relief operations and other national emergencies to settle their tax arrears. The public kitty will also compensate MPs for the income they will lose once they start paying full income taxes. The details are in the fine print of alterations to this year’s Budget by the Budget Committee of the House. The manoeuvre is meant to give the impression that MPs are finally willing to pay their taxes while disguising the fact they will be subsidised for loss of income. The money will come from a reallocation of funds from the National Contingency Fund to the budget of the National Assembly. The International Criminal Court prosecutors accused three of the Ocampo Six of being behind a network that executed killings and displacement of people during post-election violence. Chief prosecutor Luis Moreno-Ocampo says the network ensured the occurrence of violence that rocked Turbo, the greater Eldoret area (Kiambaa, Kyamumbi, Huruma, Kimumu and Langas), Kapsabet town, and Nandi Hills. The prosecutor submitted that Eldoret North MP William Ruto, suspended minister Henry Kosgey and Kass FM radio presenter Joshua arap Sang raised funds for buying weapons, paying perpetrators and promising rewards “for every PNU supporter killed or property destroyed”. Mr Kosgey is said to have paid Sh1,500 for everyone who attended planning meetings for attacks in Kapsabet town and Nandi Hills.